Autodesk® Homestyler™ free* online home design software bring your interior design plans to life. Easy drag and drop, brand name products, and 3D views make using Autodesk Homestyler the best way to start your next home design project. It's free*, completely web-based, and instantly accessible online. This is the ruffle I've been looking for. Thank you Weekend Designer. 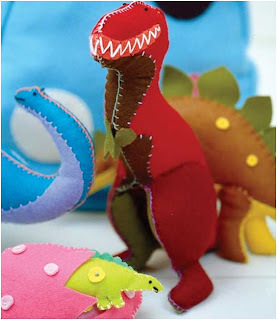 Annekata is a fairly new blog with a heavy emphasis on hand sewing. She's a girl after my heart and I'll be interested as she builds her handstitched wardrobe. Just look at what she's wearing! Beautiful. These friendship rings really knock me out. What a great beginner project. I'm still looking for ideas for beginning hand sewers. Sachiko shares a variety of ruffle shirt tutorials at Tea Rose Home. Her linky love posts are really inspirational. She finds just what I'm looking for. Kalleen shares this hat pattern on her blog, At Second Street. Love the rough elegance. 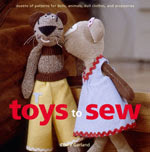 There is a very large library of sewing tutorials at SewLover Arts School. 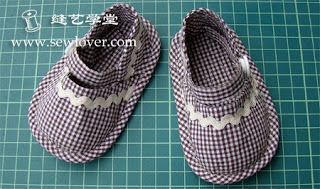 The entire site is interesting and there are more than 50 patterns just in the bags section. Other sections include toys, patchwork, and items for the home. The site is in Chinese but Google Chrome does a very good job of automatic translation. I was even able to say thank you through the message tab at the bottom of the page. One of my favorite patterns is for this sweet little case. Susan Kramer shares her doll clothes patterns for American Girl, Bitty Baby, Sasha and other dolls. Some of these would make good projects for young hand sewers, maybe in Alabama Chanin style. Upcycle some T-shirts. on the old Potter Craft News site. He's been there a long time, I just wasn't looking for him. 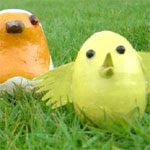 The Papier Mache Resource is an extensive site for and by paper mache enthustiasts. Shared are tutorials by various artists, inspirational galleries and articles. 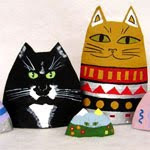 Sally Cats tutorial by David Osborne. 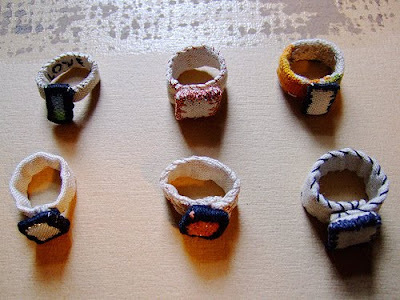 These are made of recycled cereal box, filled with sand or sawdust for weight. How about this article? 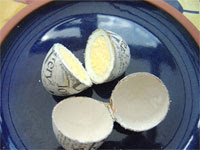 David Osborne considers Eggs - Their uses in papier mache sculpture. His preferred method is 'Sawing through'. Start with hardboiled eggs. The tutorial for these little cuties by Pun Hui Falkenhainer have an interesting technique in that the facial features are drawn on a separate piece of paper and applied individually. That's a great tip! I can hardly ever get a whole face right. One eye will be cockeyed or the eyes will be good but the mouth will be awful. She uses lentils as noses. 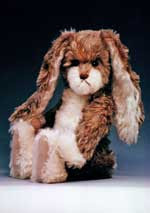 The generous folks at Beary Cheap Teddy Bear Making Supplies offer 10 teddy bear and a bunny patterns shared by various artists. The patterns are offered as free downloadable PDF files. From the front page click the info and freebies tab. The whole site is interesting but their story is the most interesting of all. Click the About tab. This Aussie site has been updated since my first post about them. They carry even more of the most beautiful fabrics than they did in 2008. They've added needle felting instructions and supplies. in PDF templates in Mailing and Shipping Label sizes. That they are available individually and also have the autofill feature makes the gift very special indeed. Claire Chauvin has shared this tutorial on Poopscape. She says it's crazy easy. "Gold leaf is surprisingly cheap and when used with double tack mounting film, it's really easy to use. The mounting film can be cut into any design, regardless of how intricate or delicate it is. You can add gold leaf to just about any surface." 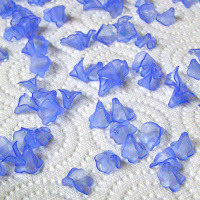 Kara shares this tutorial on Craftastical. Wow! Create Your Style Online with a multitude of different shapes, sizes and colors of CRYSTALLIZED™ – Swarovski Elements! •Adopt existing templates, exclusively designed for Swarovski, to your wishes. •Calculate the amount of Crystal Beads, Crystal Pearls or Pendants you are going to need to realize your creation. •You can print your colorful creations, save and load them at any time. 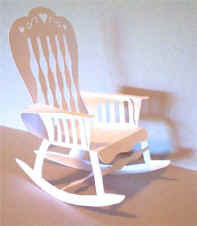 Paper chair templates are one of the most popular searches on this blog. 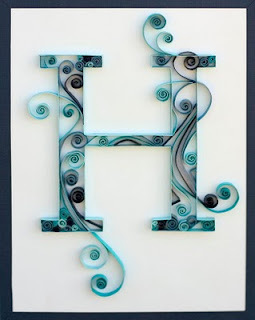 This template is just one of the free templates shared by Petrina Case, a paper engineer and illustrator who has created a world of paper sculptures, paper pop-up cards, greeting cards and made to order pop-up books. This template is offered in .jpeg, .pdf and her cutting machine file is offered for sale. Browse her site. She makes fascinating business card sculptures. Love this gift from Valita. 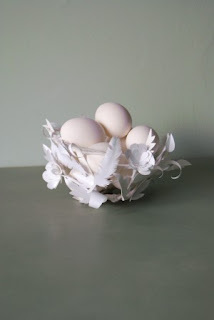 Inka Heaton is one of the first paper and craft artisans I encountered. She and others like her were the reason I started this blog. Meggiecat is my filing cabinet. Altered Artifacts is Inka's blog. "All the art on this blog is my own. Because I enjoy sharing my ideas, feel free to copy any pictures for your personal use. However I would like to reserve all rights for any published or commercial use. Thank you." Check out the list of free online workshops. 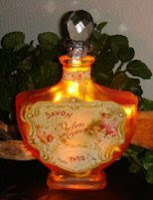 This perfume bottle night light and paper shoe favor box are but a small glimpse. She offers a printable label for the bottle and a template for the shoe. What size do I need or have? Printable tools from Rule Co.
Photo tutorials on Maille Artisans International League. Scroll down the page for photo tutorial. 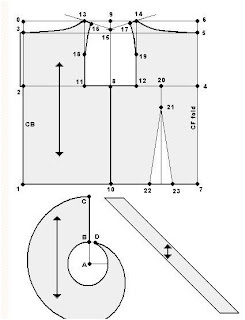 How to make the jig. How to make the ring. From the good folks at Rit. Cut out and fold these letters. This is a free font. It's spring. Of course I'm thinking of Christmas. Old habits die hard. 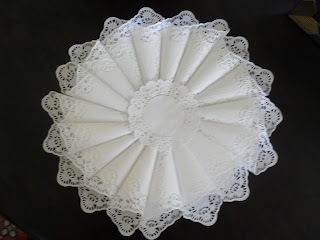 Paper doily cone wreath from Dollar Store Crafts. This bowl from Marie Claire Idees. 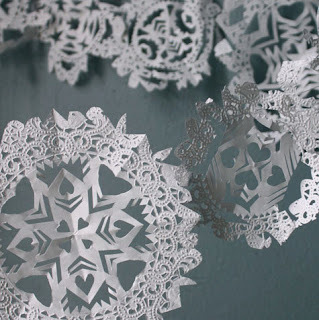 Paper doily snowflake garland from Design Sponge. For the price of a yard of silk organza, some memory wire, and a sterling silver clasp, you can put together your own version of this stylish piece. From Country Living magazine. a favorite is Paper Models of Polyhedra. Today I saw these printable paper house models. Online tool from Foldplay. Enjoy your photo kaleidocycles, moving paper sculptures that turn in an endless cycle.